So I just got a new tattoo. I'm pretty proud of it; I designed it myself. 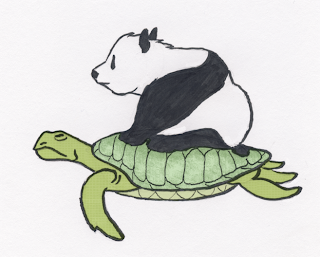 It is of a panda riding a turtle. I knew I wanted a tattoo on my shoulder blade for a while now, but just didn't know what to get. 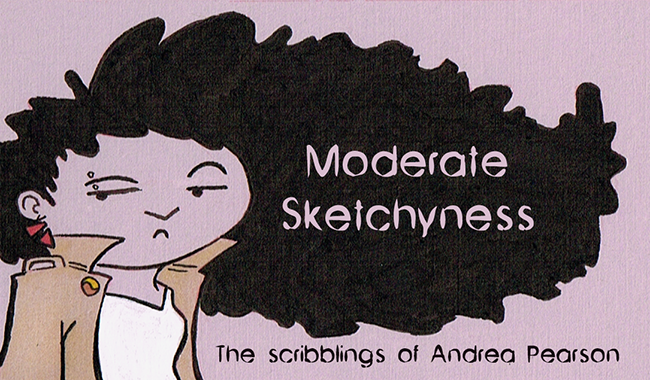 On Monday I was doodling in my sketchbook and this just came to me. It's my favorite animal (the panda) riding on top of my boyfriend, John's, favorite animal (the turtle). Then I sketched this out and inked it and I fell in love with it. I knew right away I wanted to get it, and I did, today. Here is the preliminary drawing. I thought about adding some color. This is the final on my body. I got the tattoo at the Tattoo Factory in Uptown. It was more than I wanted to pay for, but it came out good and the guy who did it was really cool. 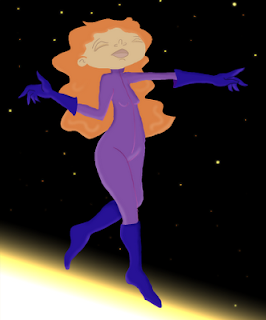 Just took one of my concept drawings and colored it. I'm still working on a finalized model sheet for her and a story to go along with it. I'll have more on that later. Enjoy! So, I'm not quite unemployed, I have an internship, but it does not start until the end of the month. So, until then, I'm just waiting, and eating, and watching the Simpsons, and going for long walks in my new neighborhood, and reading Bleach. 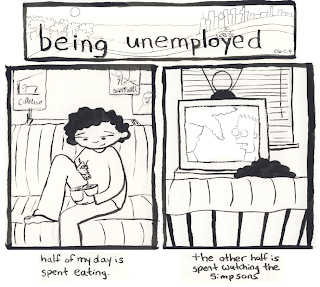 But mostly eating and watching the Simpsons.